Today was a rainy day. I expected the day to be a lazy, relaxing Sunday. I never even planned on getting out of my pjs. Jimmy had been watching football all day and i was crafting and catching up on my tv shows. But around 4:30 Jimmy said maybe we should go out to dinner. So I actually got dressed, put on my contacts and by 5:15, we were walking to catch the Metro Muni to Jimmy's mystery dinner spot. He wouldn't tell me where we were going and I was clueless till we stepped through the doors of Woodhouse Fish Company in the Castro. It was our 1st time there and won't be our last. 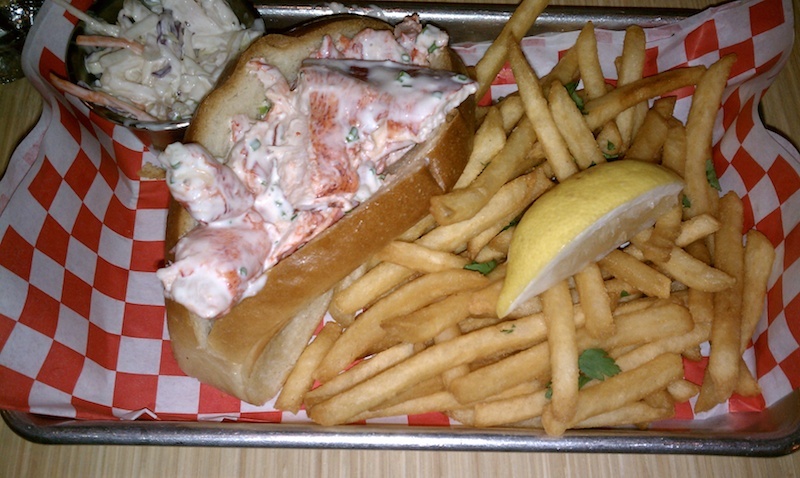 The reviews rave about the lobster roll so that's what I got. I might have to try the crab roll next time, that's what Jimmy got. When we go out to dinner, we rarely get dessert. Lord knows we eat enough ice cream on our own that we don't have to supplement it with dessert at a restaurant. 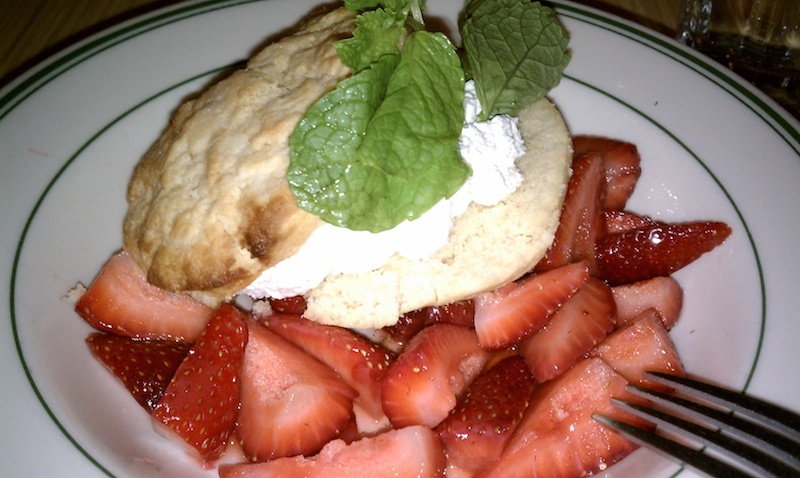 But tonight we splurged and split the strawberry shortcake. Delicious! They also have a "make your own" lemonade, where they give you 1/2 a glass full of ice and lemon juice, accompanied by a small carafe of liquid sugar and another one of carbonated water. You added as much of it as you wanted to suit your own taste. Really cool. 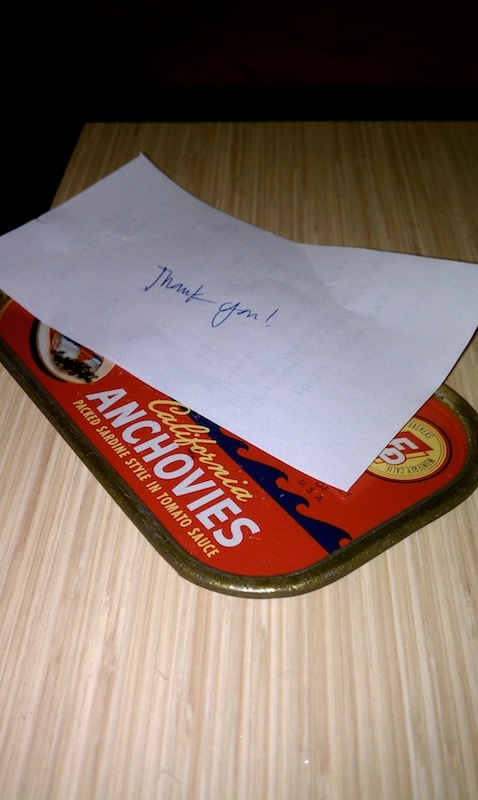 They give you your bill on a recycled anchovy tin top. Loved that! I was also grateful that the rain had stopped before we went to dinner. It drizzled a tiny bit while we were eating, but by the time we left the restaurant, it had stopped. Good timing. 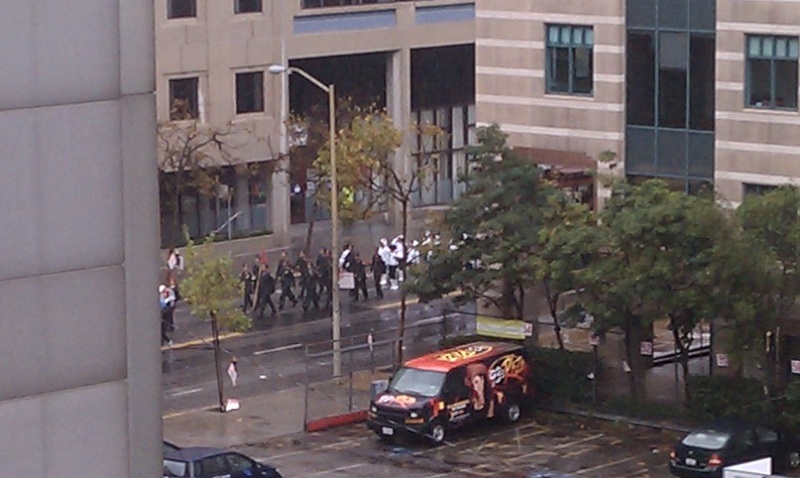 Another gratitude moment for today was hearing a marching band playing outside our apartment. We knew there was a Veterans Day Parade that was scheduled today, but we didn't realize that a nearby street was the staging area for it. 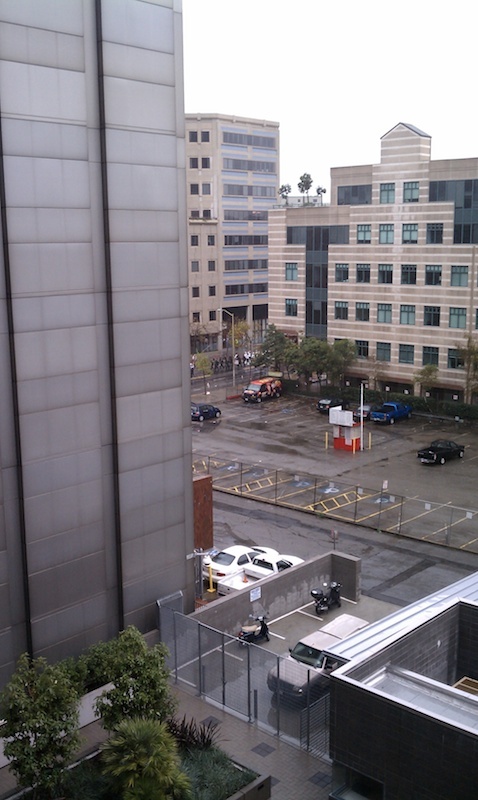 Here's the view out one of our windows. Zooming in to the street, you can see the drill team walking down the street getting ready for the parade. They had to march in the rain! I'm afraid they probably didn't get as many attendees to this parade as the Giants Ticker Tape Parade got 4 days ago. 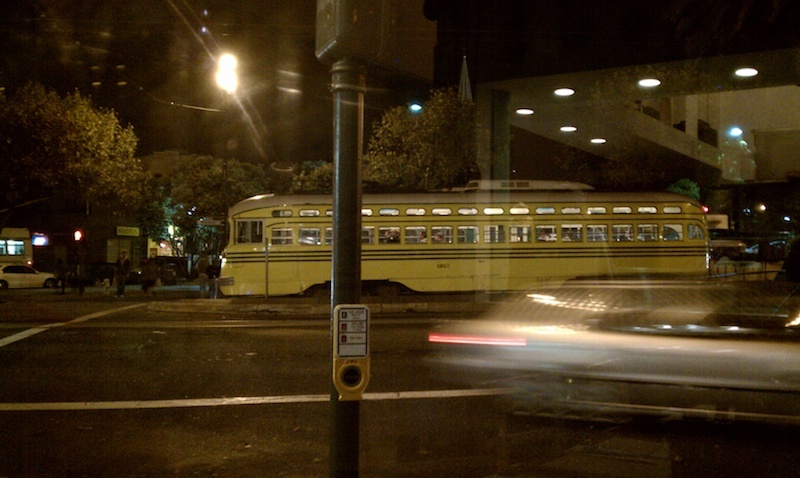 1st photo is the view of the streetcars we had during dinner.